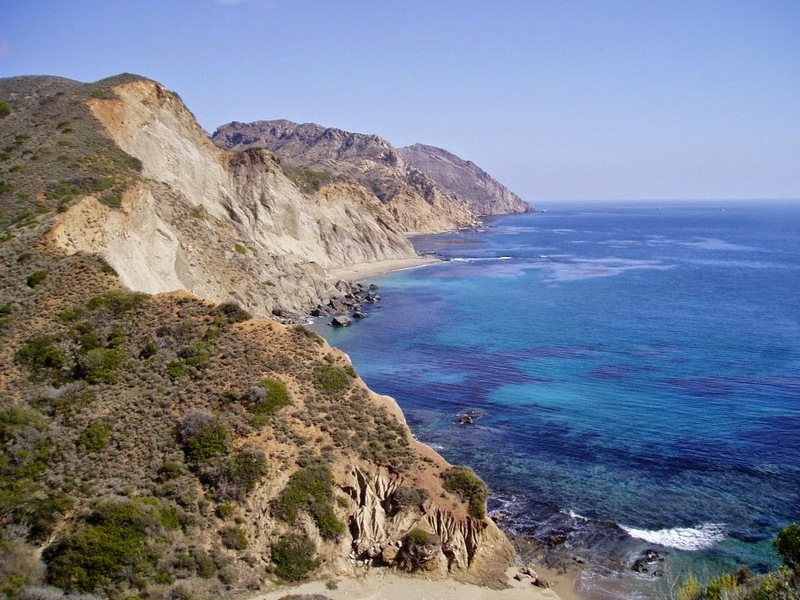 Survival Sage Blog: BUG OUT TO THE CHANNEL ISLANDS OF CALIFORNIA? BUG OUT TO THE CHANNEL ISLANDS OF CALIFORNIA? Do the Channel Islands of Southern California make a good bug out location? First of all, I think bugging out via sailboat is an excellent option. It gets you away from the primary threat--other humans. However, staying at sea permanently wouldn't be fun. If the SHTF in America only, you could sail away to another country that hasn't collapsed. If the collapse is global, you'd have to find an island to settle after you bug out or a sparsely populated coastal region somewhere in the world. After 2 years, the chaos will die down and most people will have perished, and you could return to the mainland of your choice. So will the Channel Islands work? Islands are often a destination in zombie and eotwawki movies. 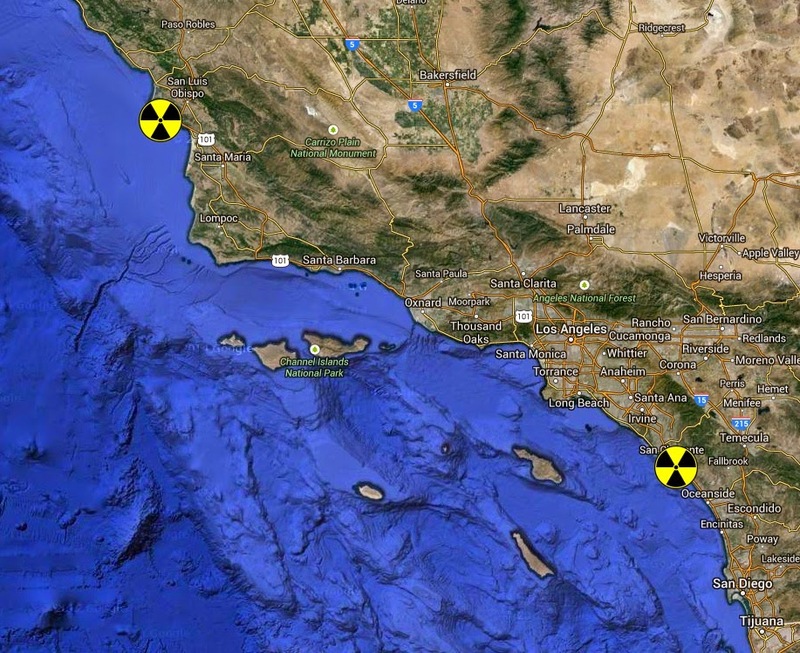 The biggest reason why I wouldn't bug out to the Channel Islands is because there is a nuclear power plant on the coast 100 miles north (upcurrent) and another power plant 50 miles east of the Channel Islands. 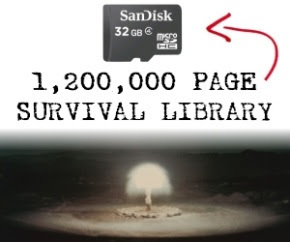 If those go into thermonuclear meltdown, like Fukushima, they will release lots of radiation into the ocean. That's going to spoil the ecosystem around you and render all the potential seafood harvests dangerous. However, just 3 years after the Fukushima event, fish within a 20 mile region were mostly under the legally safe radiation levels. But Fukushima was treated after it melted down. The California nuclear power plants won't have the same luxury. But what if the collapse of society is a slower event and the nuclear power plants are shut down in a way that prevent them from melting down OR you are ok risking radiation? Will the Channel Islands be ok then? We only need to ask two questions: will the island support life and will you be able to avoid dangerous humans? 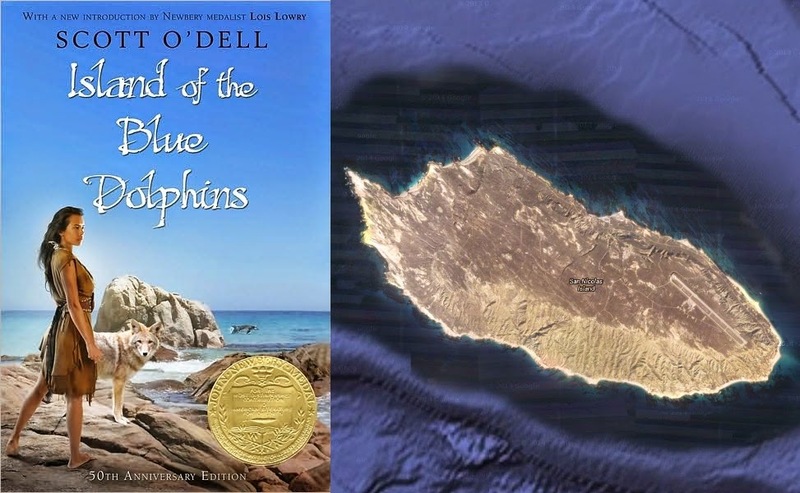 Have you ever read Island of the Blue Dolphins? It's based on the true story of an Indian woman who survived by herself for 18 years on San Nicholas Island of the Channel Islands. If she could do it by herself, you could do it with some gear and some knowledge. You see all those brown dots scattered along the beach that look like a termite infestation of wood? 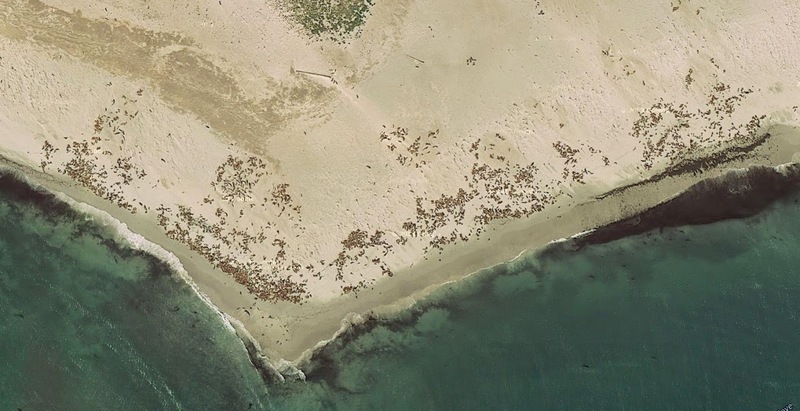 Those are thousands of sea lions. Females weigh 200 lbs and males weigh 600 lbs! And they're just laying there all fat, slow, and unconcerned about predators on land. The ones that are accustomed to humans will allow you to get within 20 yards before moving. These ones are unaccustomed, so you can probably get within 80 yards, before they start moving. Even if you miss the shot, you'll hit the one next to it. Easiest hunting in the world. There are also tons of fish and birds. You can even bring mice traps to catch all the mice. In fact, they might make good bait. I'm not aware of any edible plants, but you can do gardening. Santa Rosa Island used to have deer, but they're not native, so they were removed, DARN. San Clemente used to have goats, but they're not native, so they were removed, DARN. San Nicholas used to have sheep, but they're not native, so they were removed, DARN. Catalina used to have feral pigs, but they're not native, so they were removed, DARN. But, Catalina has buffalo and deer, but too many people live there, DARN. The islands are somewhat dry however. It seems like two of the big islands - Santa Cruz and Santa Rosa, each have a year round stream or two, but that's about it as far as readily available fresh water goes. If you were to go to Santa Cruz or Santa Rosa, I would recommend avoiding the largest, most reliable stream, because that is likely where others will settle. Catalina has a small lake and some small reservoirs, but I don't recommend Catalina, since it has a sizeable population already. How many other people will attempt to survive on the Channel Islands? 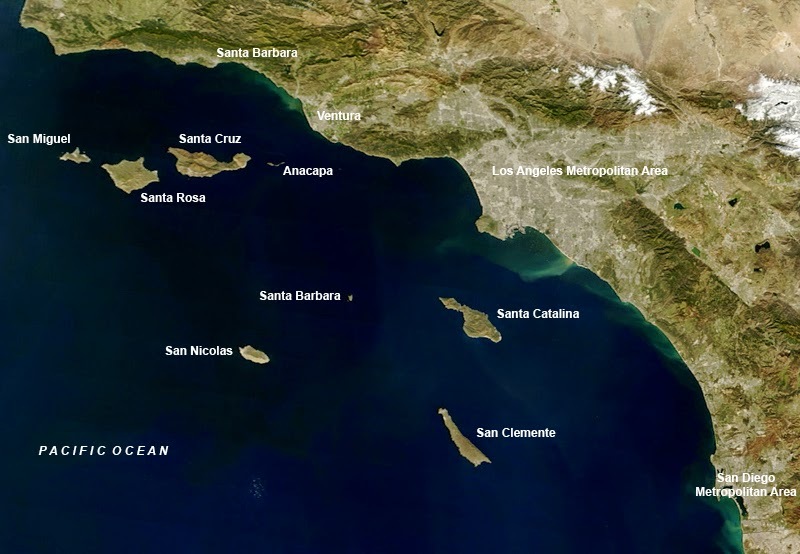 Catalina island already has a population of 4,000. We can safely assume that at least half of them will attempt to survive there--likely more. San Clemente Island is an Air Force base, so they probably have 100 people or so. They probably won't try to survive on the island, but I'm not sure. The other islands are part of a national park, so they are basically unpopulated, except for a ranger or two and whatever visitors happen to be there at the time. When the SHTF, I do believe that some people from LA and San Diego with boats will attempt to survive on the islands. I wrote about this in my previous blog about the SHTF in Los Angeles and their predicted behavior. There will be so much chaos that people will get desperate and give it a try. I figured that there are 54,000 boats in the LA region, something like 42,000 motorboats and 12,000 sailboats. If 25% of them set sail, that will be 3,000 sailboats and 10,500 motorboats. Perhaps 500 sailboats and 4,500 motorboats will try to go to the Channel Islands. This amounts to about 20,000 people. Let's add another 4,000 from the San Diego region to make a total of 24,000 refugees. Since Catalina is the most familiar to people and the closest to most of LA, they will receive the majority of the visitors, about 14,000. Will the people of Catalina accept them? I don't know. There might be a conflict. Maybe they will be turned away and try another island, but if the motorboats are out of gas, what alternative is there? I would say that about 6,000 would go to Santa Cruz, because it is the largest and closer to the coast than Santa Rosa and San Miguel. I would guess that Santa Rosa will get about 1,800, because it is the second largest. About 1,100 to San Clemente. It will catch much of the San Diego population. 400 to Santa Barbara (the Catalina rejects). 400 to San Miguel. 200 to Anacapa. And 100 to San Nicholas. However, each of the channel islands typically has one dock for the whole island (if they even have a dock). I imagine that when the boaters come within sight and see a veritable flotilla in the bays around these docks, they might think twice about landing. Sailboaters can pass them up, but if motorboaters are running out of gas, they won't have a choice. But in any case, let's go with those numbers. If the people have fishing poles and/or guns, there shouldn't be a problem with providing enough food, at least initially, on most of the islands. Catalina and Santa Cruz might be the exceptions. Catalina is out of the question, because of all the people. According to my predictions, Santa Cruz will have a sizeable population competing for resources. Santa Cruz has many fish and birds, but doesn't look like it has many sea lions. But on the other islands, sea lions will outnumber people. On San Miguel, which is where the sea lion picture from above comes, sea lions will outnumber people by a ratio of 100 to 1! So, food wouldn't be the limiting resource. Water would be. A stream might be year-round, but if over 1,000 people are drinking from it, which will be the case on Santa Cruz and Santa Rosa, it may not be enough water. Anacapa, San Miguel, San Clemente, San Nicolas, and Santa Barbara have no year-round water. They will only have a minimal amount of stored water at the facilities/ranger stations/campgrounds. This will result in the death of many of the 2,200 who try to settle there, while others will move on, but some will overcome and survive regardless. If you are a prepper/survivalist, you probably know of ways to collect water or get fresh water from saltwater, but the majority of the others on the islands will not. So what's the result of this? Should you try and survive on the channel islands? If you have a sailboat, I would say no. Find better islands when the SHTF, but if you are low on food, you might want to take a detour to San Miguel Island first and get a couple of sea lions and turn them into jerky before you head out on your journey. But if you have a motorboat or really want to try, you can. If no people were bugging out to these islands, I would choose Santa Rosa or Santa Cruz, but too many people will end up there, so I would recommend bringing a desalinator, solar stills, or a distillery with you and trying San Miguel, San Nicholas, or a remote part of Santa Rosa (and by remote, I just mean away from the perennial streams). Then, in the first year, you can dig small reservoirs in multiple channels and attempt to store rain water in any way possible. You should be able to enjoy a life of solitude with an abundant amount of food. Depending on the size of your boat and where it is located, others on the island or boat goers might discover you though, so be prepared. If they are starving, just offer to shoot a sea lion for them :) You can even offer potable water, but then will they notify others that you have fresh water or will they try to steal your desalinator or distillery? It's something to consider. A manually operated Katadyn desalinator working around the clock can only supply fresh water for 24 people. A distillery and solar still will have similar limits. Perhaps you can pay the other survivors on the island a visit and show them how to dig for fresh water and create fresh water from solar stills using all the plastic, glass, bags, containers, etc. that they have. Then wish them good luck and leave without them following you. After 1.5-2 years of surviving on the island, I might go back to the mainland to eventually become part of a larger community and society that will spring up. I think the central California coast would be nice. I wonder who will be living in Hearst Castle.